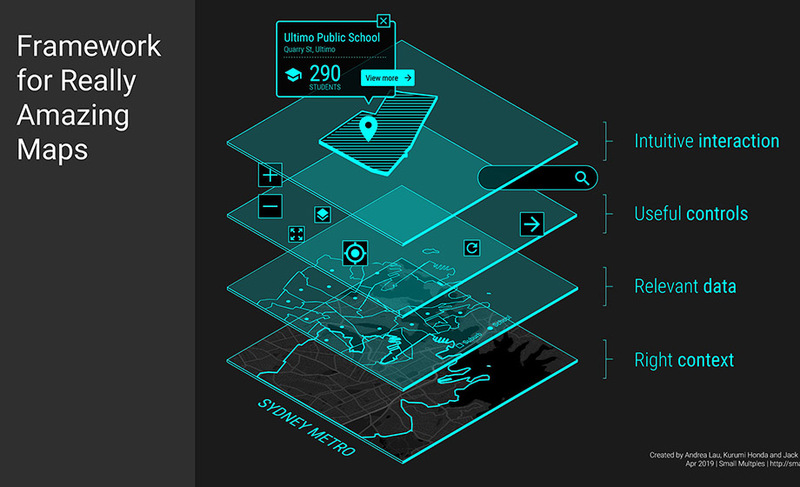 We designed this website for the Climate Change Research Centre to help them promote placing meteorological and air quality sensors in schools that will track urban weather and air quality measurements in NSW. 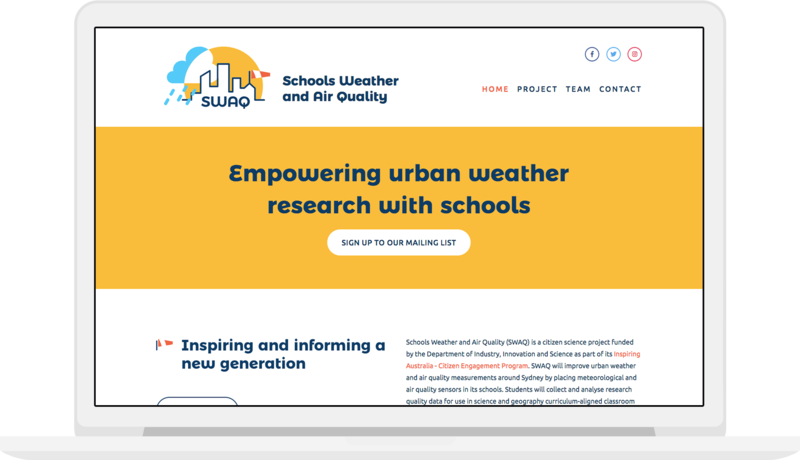 This website was designed to gain the interest of Sydney schools to participate in the SWAQ project. 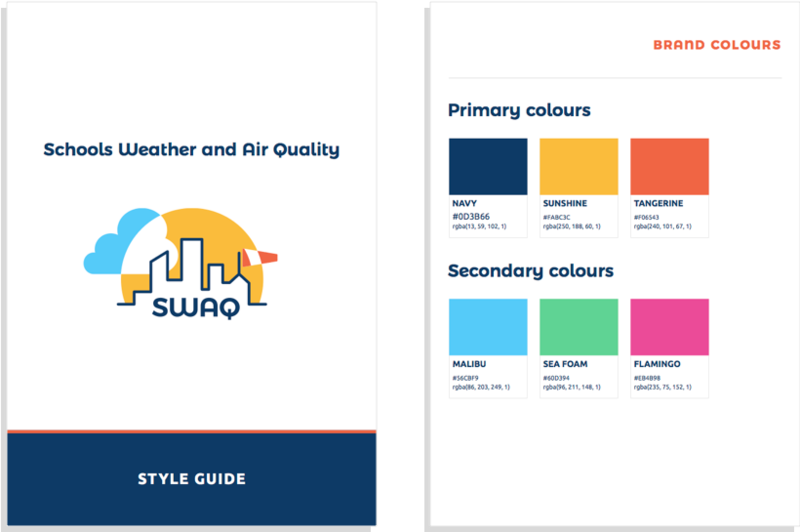 SWAQ is a citizen science initiative with the purpose of measuring urban weather and air quality around Sydney by placing meteorological and air quality sensors in schools. 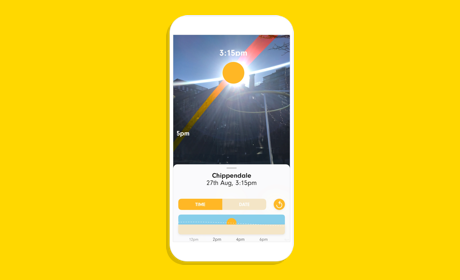 Eventually the website aims to publish this data as well as getting primary school-aged kids to participate in the process by collecting and analysing the data. 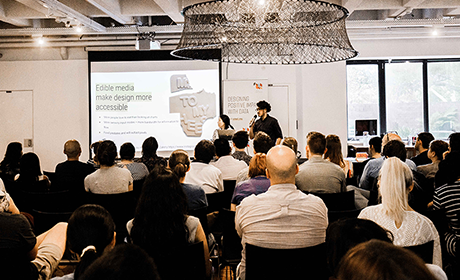 With this in mind, we conducted a workshop to further investigate how each of these requirements should be visualised. 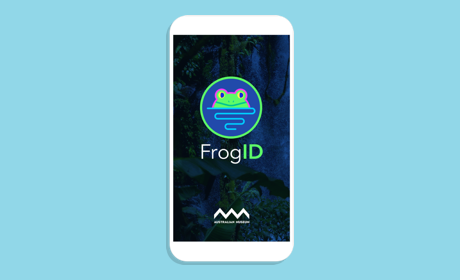 Through a variety of UX methods (some appropriated from IDEO Method Cards), including word concept association, brand personification, visual DNA and collage creation, we created three different logo concepts with corresponding visual styles. After refinements, we developed the following SWAQ logo and visual identity. In addition to the static version, we created an animated SVG logo which was embedded in the website. 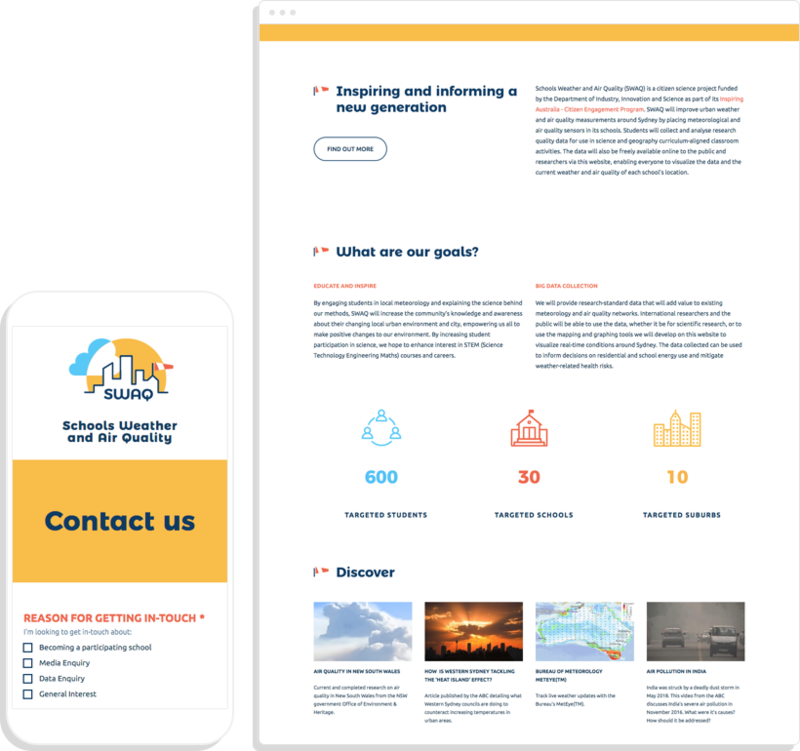 We created the fully responsive site using Squarespace.